A very warm welcome to the first ExpatCapeTown Newsletter . My website is now one year old and I am glad so many of you come back to me with all your valuable input and the many questions of which I will publish the most interesting ones for you. Living in Cape Town is an adventure every day and I will present some more insights to life in the Mother City. My newsletter shall also give you some more special information on topics which will interest both the tourists coming to Cape Town for a shorter period of time and expats moving to South Africa or living in the Mother City or if you simply want to stay in touch and see what’s going on in Cape Town. •	Make photocopies of all your documents you intend to take with you like ID cards, passport, driver’s license etc. and get them certified by an authority when you intend to move here. Always keep them in separate luggage. •	When moving to Cape Town, also take bank statements of the last three month with you, which you will need when you want to open a bank account here. Get copies of our car insurance certificates from overseas, when you intend to buy a car in Cape Town and therefore will need car insurance. •	Take your credit card along (take photocopies or note the number) and take some money in travelers’ cheques in Dollars, Pound or Euro along too. This way your money will be insured should it get lost or stolen when travelling. You can exchange your cheques in banks and exchange bureaus really easily or draw money with you credit card from your account. You can also exchange foreign currency into South African Rands at the airport or at usually better rates in town. More banking tips here. •	Get your immunization records up to date. Make sure you have vaccinations for tetanus, diphtheria, polio and hepatitis. Should you want to venture outside of Cape Town, the West Coast and the Garden Route, take a malaria prophylaxis. For more Health FAQs click here. •	Take you prescription medication, a good sunscreen and your favorite brand of cosmetics with you. Most brands of cosmetics are available in South Africa; however some are more expensive here. Do not forget to take a supply of any medication you need. Take product leaflets with you in case you want to source for the medication in South Africa which might be distributed under a different name here. •	Get an International Driver’s License if your driver’s license is not in English. You will need it when renting a car in South Africa. The award winning musical "The Blues Brothers" in this original South African production already broke box office records in Johannesburg and Durban. Now it comes to Cape Town this July. The show celebrates the music made famous by Jake and Elwood Blues which became widely popular through the cult eighties movie called The Blues Brothers. So make sure you get your tickets for this great event. July is also a month for many celebrations. American expats will be happy to know that they can join America Day celebrations in Cape Town too and the French Bastille Day is a fixed day in the Franschhoek Events Calendar. More events here. And Nelson Mandela will be celebrating his 91st birthday on July 18th, 2009. The former president of South Africa (1994-1999) and anti-apartheid activist who spend 27 years in South African prisons, was awarded the Nobel Peace Prize in 1993. Madiba as Nelson Mandela is lovingly called by his people, is an inspiration for so many people, therefore well wishers will celebrate his birthday in the whole country with parties and concerts to highlight his humanitarian involvement and thank him for his care for his own people. Why Milnerton? 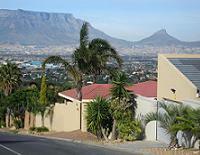 This suburb lies to the North of Cape Town and borders the Atlantic Ocean. It is a popular suburb for tourists and expats as the travel to Cape Town City Center is short and the area has got excellent shopping and amenities. The huge shopping and entertainment complex at Century City and the constantly expanding weekend flea market are drawing lots of Capetonians to the suburb. There is great housing to be found for any taste and pocket and there are good public schools and health facilities in the vicinity. Where to stay? There are many bed and breakfasts as well as great hotel and self-catering options around Lagoon Beach and Woodbridge Island. Where to go? Enjoy the Milnerton Beach, have a round at Milnerton’s famous Links Golf Course with spectacular views of Table Mountain, join the canoe club or enjoy an evening out to watch a great show at the Milnerton Playhouse. Where to find the best "Pretzels" or "Brezeln" South of the Equator? Go to "Le Bon", the German Bakery in Koeberg Road. This Milnerton bakery is located next to the Centre Point Shopping Centre. What is a brinjal? This is the South African term for aubergine or eggplant. In Cape Town you can grow this vegetable easily in your garden. You can get either seeds or young plants from Gardencenters in Cape Town. Just water them and they thrive in well drained soil. Brinjals make great vitamin packed food. Just harvest them when they turn purple and are not too big yet, wash, slice and slightly salt the brinjal slices and fry them in a little local Olive Oil. Add some salt and pepper and enjoy. What are tekkies? This is South African slang for running shoes, trainers or sneakers. The name was adapted from the Hi-Tec Shoes which are very popular outdoor shoes in South Africa. In Milnerton’s industrial area Montague Gardens you can find Cape Town’s Hi-Tec Factory Store. The Hi-Tec factory outlet is located in the shopping complex corner Montague Drive and Freedom Way. The outlet is quite small, but they have got many shoe models and some outdoor clothing at very affordable prices. Where to get great glass gifts? Visit the Glass Gallery at Seidelberg Estate near Paarl. And do not miss out on wonderful wine and food! Where to get spelt bread in Cape Town? Try Dinkel Bakery in Kloofnek Street in Tamboerskloof or bake your own spelt bread with Spelt Flakes which you can get from Dischem or Wellness Warehouse. What to do on a sunny windfree day in winter? Take a beachwalk from Milnerton Lighthouse to Dolphin Beach and back. Have lunch either at the Golfclub or at Blowfish in Dolphin Beach. Watch colorful kites, feel the warm sand and listen to the waves. 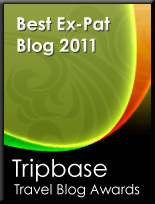 And please come back with more great tips from your site, all kinds of comments very welcome! Contact me here. Contact me here.